I have to thank a friend for introducing me to this piece of art and allowing me to hold it in my hands and study it. There are moments, if like me you love art. Like going to the Ashmolean Museum in Oxford and holding many of Turners watercolours in ones hands. The Turners are roughly 150 to 200 years old but my friend allowed me to hold a piece that is 300 years old. As with last chapters artist this artist comes from a family of painters – truly talented artists. #AntoineCoypel (1661-1722) was born in Paris – son of Noel Coypel. Noel painted pictures for the Louvre and his finest work ‘The Martyrdom of St James’ hangs in Notre Dame Cathedral. Antoine tutored under his father in France and Rome. At eighteen he was admitted into the Academy of which he became professor and rector, and director. In 1716 he was appointed the king’s painter. His half-brother Noel and his son Charles-Antoine (1694–1752) were also accomplished painters and the sculptor Francois Dumont was his brother-in-law. An amazingly artistic family. A study of a man’s face which has such depth of emotion. A figure aged in years with wisdom and knowledge in his eyes. 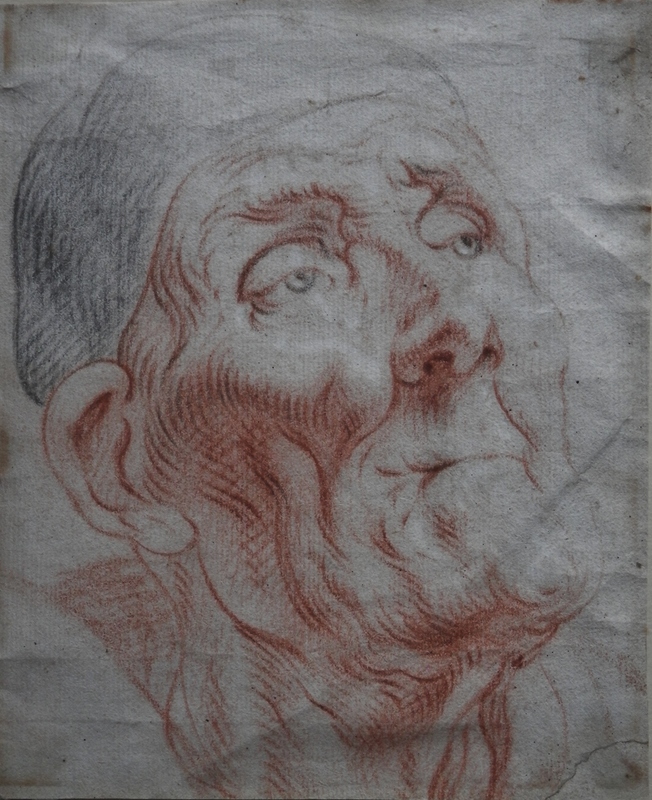 An old man – such nobility in his countenance. Antoine with just a few lines and shading produces an image of breadth and intensity. The black and red chalks were the staples of his drawing studies which he used to prepare for his oil paintings. I do not know in which painting this face appears but the wealth of power and feeling in this small illustration must bring us to a finished painting of awfulness. A true joy to hold and behold such a work of beauty. This entry was posted in Drawings and Sketches and tagged cap, eyes, face, mouth, nose, old man. Bookmark the permalink.